Chris Rufer rented his very first tomato truck as a college summer job back in 1970. On his very first day with a truck driving job in California, he started imagining new processes that would make both himself and his truck more successful and efficient. And he never stopped. Concentrating on what we do best, hauling and processing tomatoes, Morning Star leases its trucks every season, which enables us to always equip our drivers with the most up-to-date and efficient trucks available. 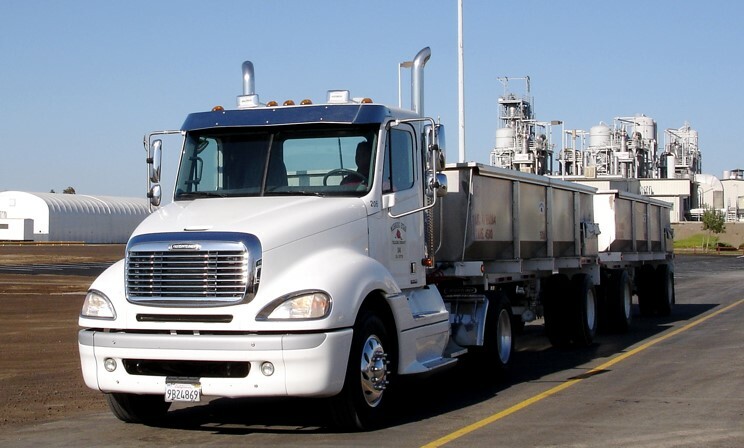 Our fleet of trucks includes Peterbilts, Macks, Freightliners and more. All of our trucks are clean-burning and fuel efficient, ensuring we remain 100% CARB compliant. Our drivers’ comfort and effectiveness is important to us, so we maintain a fleet of trucks with both manual and automatic transmissions. 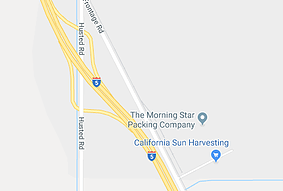 Interested in a truck driving job in California with Morning Star? Visit our employment section to learn more. The Just in Time Inventory Control system is a system that lets our dispatchers know exactly how many trucks are needed where. As part of this system, each of our trucks is equipped with a computer connected to a GPS sensor, so the truck driver always knows their position, their destination, and their route. Additionally, the system works out the logistics of moving loaded and unloaded trailers, resulting in fewer trips and less vehicle emissions. In addition to our freight running year-round, summer months in California mean tomato season. Tomato season runs 24 hours a day, 7 days a week, from July through September/October. During this time our trucks never stop hauling. The factories rely on us to consistently supply their tomatoes, so we maintain a regimented maintenance program to ensure our trucks run efficiently. Each Morning Star tomato truck hauls two specially designed lightweight trailers, which carry, on average, two tons more tomatoes per trip and all stay under the legal weight limit. This results in fewer trips to transport the same number of tomatoes and reduced emissions. Similarly, all of our drivers are trained and monitored to maximize fuel efficiency on the road through on-board engine performance systems. Throughout the tomato season, trucks drive from the tomato field to the nearest Morning Star processing plant, rather than every truck traveling to one central facility.